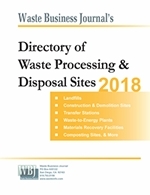 Five major waste companies that do business in southeastern Virginia and North Carolina are said to be pooling resources in opposition to the Southeastern Public Service Authority (SPSA). That agency has been considering the use of flow controls to keep wastes generated within its eight member municipalities and the associated revenues to themselves. This would help them avoid having to charge their members much higher fees and free them from having to continue receiving a million tons of out-of-state wastes per year. 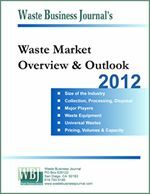 In response, a coalition of firms including Waste Management, Waste Industries USA, Republic Services, Allied Waste and Bay Disposal argue that flow controls would create a monopoly price scheme that would dramatically increase commercial rates. SPSA, which has had financial troubles and more than $240 million in debt, counters that flow control would allow it to lower its disposal rates to the mid-fifties from $100 per ton that it charges now. Southeastern Public Service Authority: www.spsa.com.